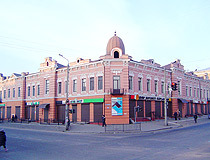 The capital city of Zabaikalsky krai. 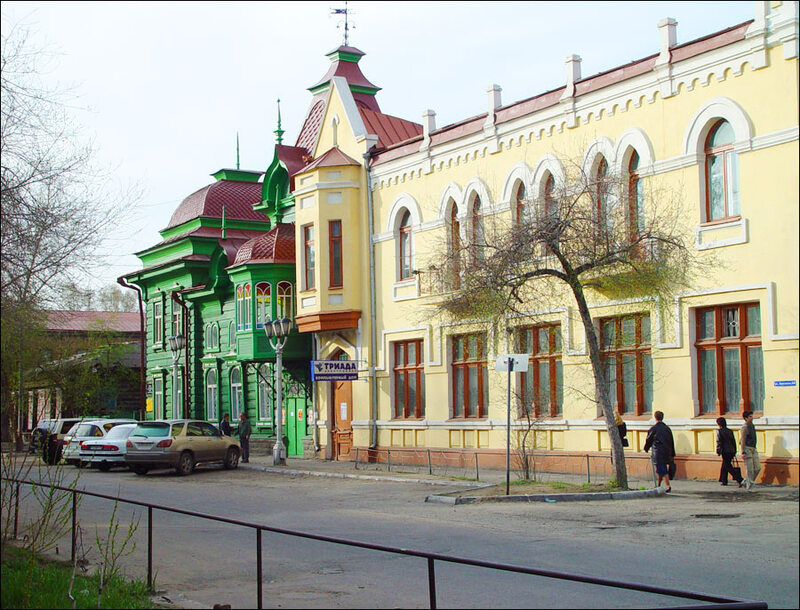 Chita is a city in Eastern Siberia of Russia, the capital of Zabaikalsky krai, a large industrial and cultural center of the region, a major railway hub located 6,200 km from Moscow. 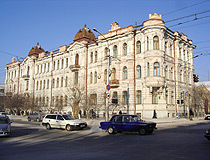 The city is situated in the Baikal area, where the Chita River flows into the Ingoda (the Amur basin). Chita lies in a valley at the foot of the hills. The population of Chita is about 339,000 (2015), the area - 534 sq. km. The phone code - +7 3022, the postal codes - 672000-672049. 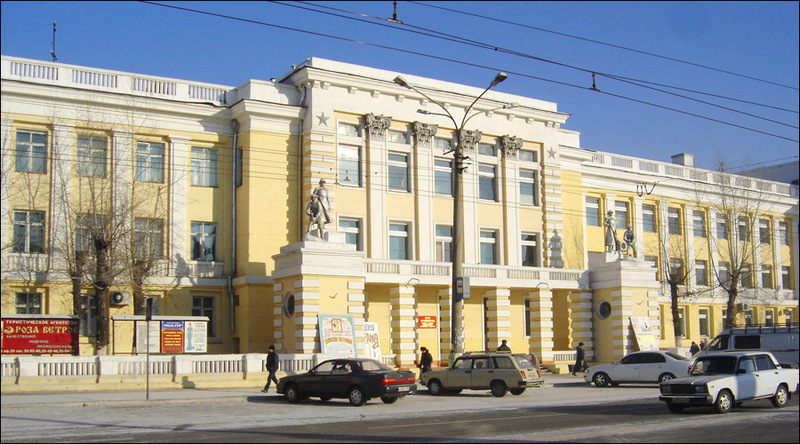 Local time in Chita city is April 19, 12:26 am (+9 UTC). 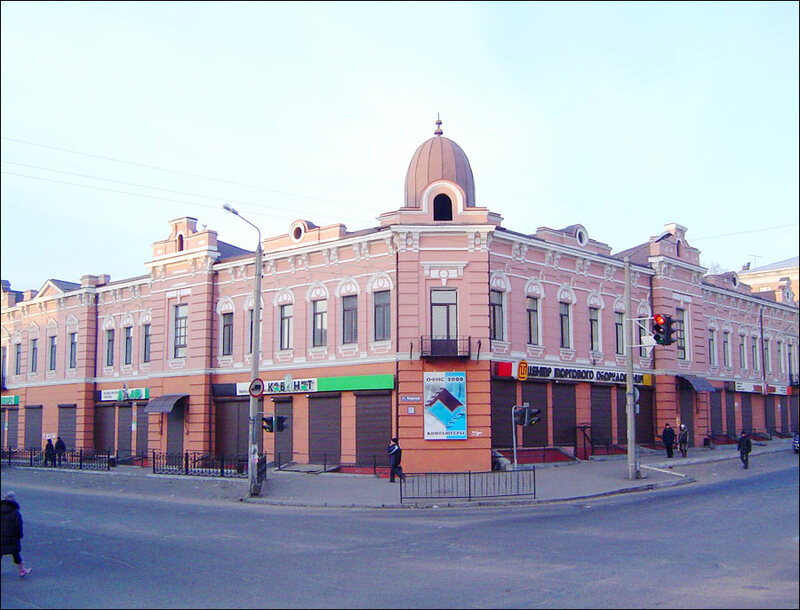 22 October, 2010 / The bear running the street of Russian city. According to the legend, Chita was founded by Pyotr Beketov who, together with a detachment of Cossacks, built Ingodinskoye winter hut in the Chita River mouth. 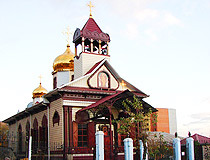 The first permanent Russian settlement in this place appeared after 1675. Till 1687, it was called Sloboda (a large village). 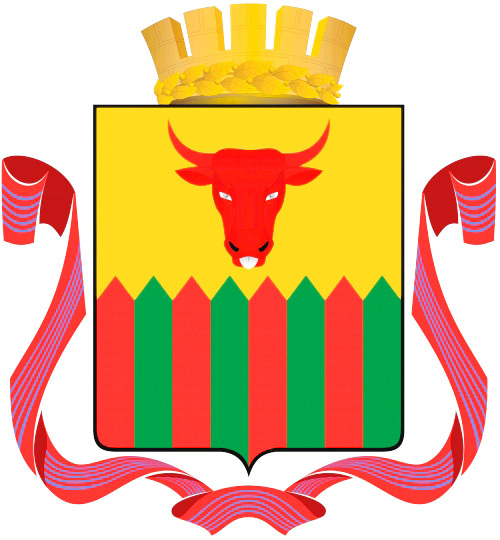 In 1699, Chitinsky stockaded town was built. In 1827, several of the Decembrists were exiled to this place. 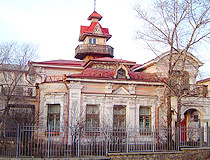 In 1851, the settlement received the status of a town and was renamed Chita. 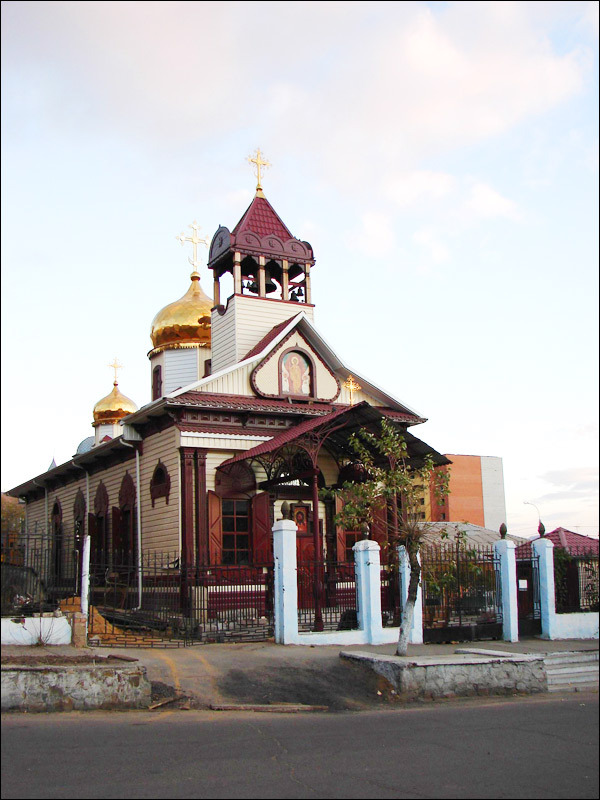 At the same time, it became the center of Zabaikalskaya oblast (province). After the construction of the railway in 1900, Chita became a large transportation juncture and industrial center of Zabaikalye region. 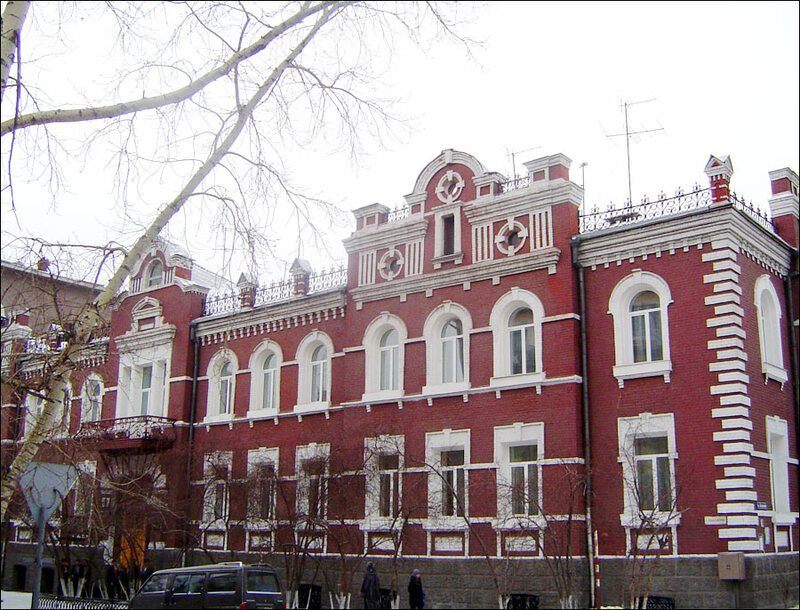 During the Russian Revolution, Chitinskaya Republic was declared in the city. 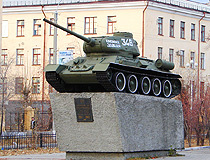 Soviet power was established in the city in February 1918. 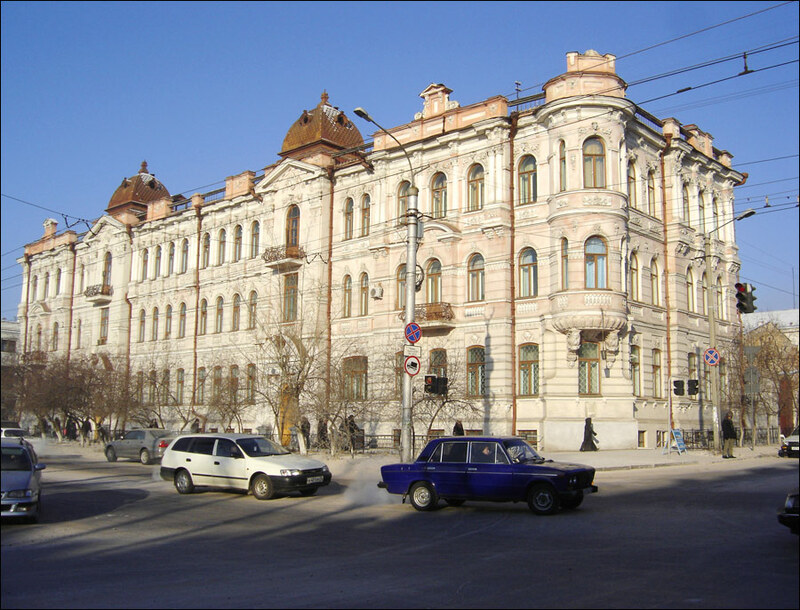 From 1920 till 1922, Chita was the capital of Far Eastern Republic, from 1922 - the center of Zabaikalskaya gubernia. 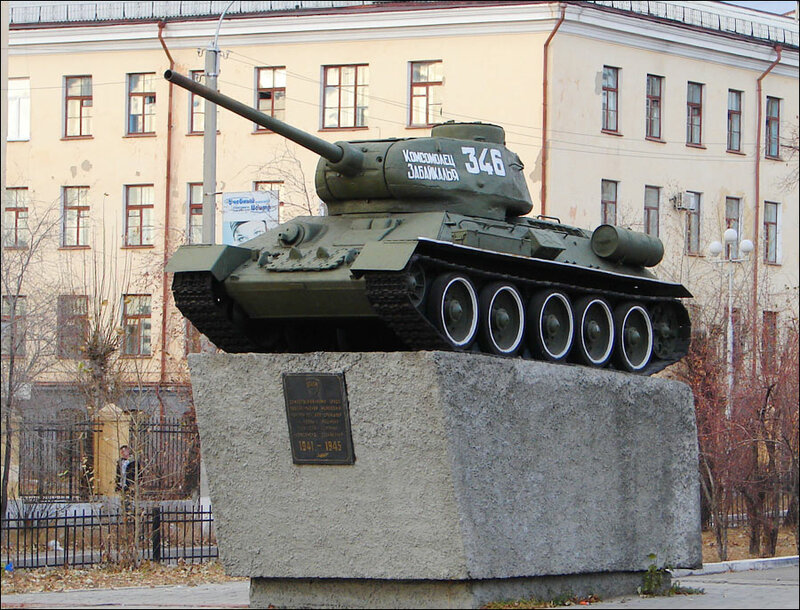 In 1926, Chita became part of the Far Eastern Republic, from 1937 - the center of Chitinskaya oblast. 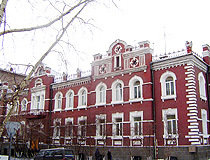 Since March 1, 2008, it is the administrative center of Zabaikalsky kray (region). 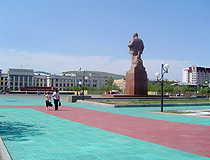 Chita is located in Asia, in the central part of the Transbaikal. 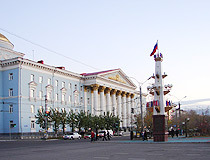 The city received its name after the Chita River. But until now, the debate about the meaning of “chita” continues. The climate is sharply continental. Winters are very cold and long (up to 6 months) with little snow. The average temperature in January is minus 25,2 degrees Celsius. Summers are warm, but short (less than 3 months). The average temperature in July is plus 18,7 degrees C.
Energy and food production are the leading industries. There are over 7000 plants and various economic institutions, most of them are of private type, 8 institutions of higher education, 11 technical schools, 4 research institutes, 12 museums, 2 theaters on the territory of the city. Due to its economical and geographical position, which provides the shortest way from the eastern regions of Russia, Eastern and Western Europe to China and South-Eastern Asia, Chita has great potential. China and Mongolia are the main partners of the city in its cultural life and economic interrelations. 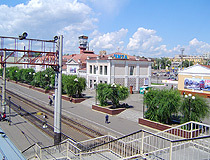 Chita is a transportation hub in the Trans-Siberian railway and the federal highways R258 “Baikal” and R297 “Amur”, and A350 Chita - Zabaikalsk. 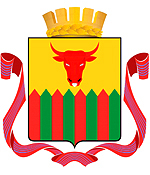 The administration of Trans-Baikal Railway is located in Chita, it controls the cargo freightage in the Republic of Buryatia, Zabaikalsky krai and Amurskaya oblast. 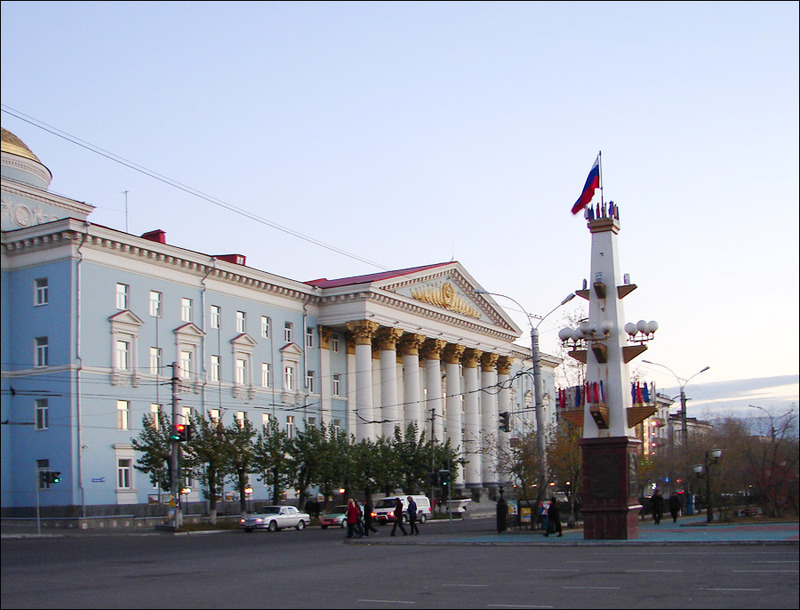 The international airport “Chita” (Kadala) (IATA: HTA, ICAO: UIAA) is located 18 km from the city center. 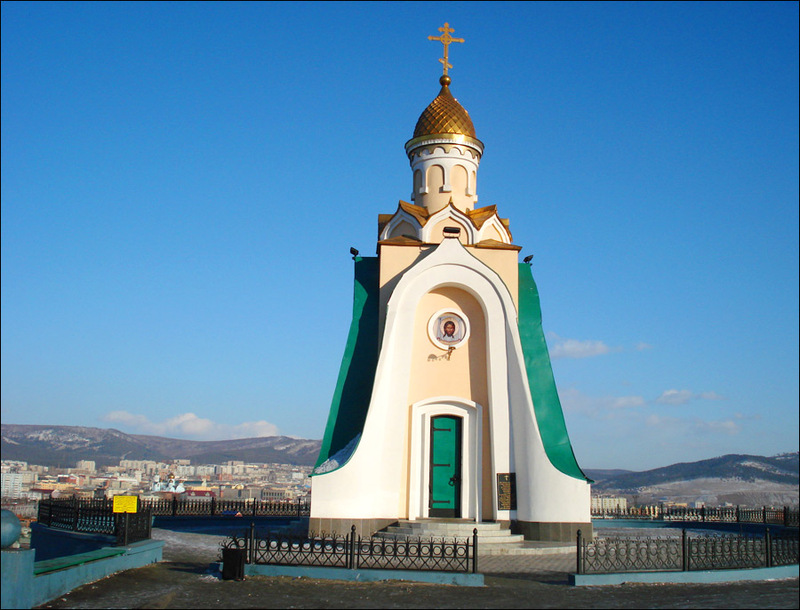 Flights to Irkutsk, Khabarovsk, Novosibirsk, Moscow, Vladivostok, Yekaterinburg are available. Chita transportation includes trolley-buses, buses and minibuses. 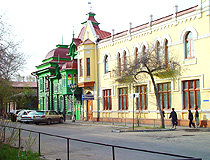 The historic center has kept a rectangular grid of streets, according to the project made in 1862. The monuments of the pre-revolutionary period inlcude “the church of the Decembrists” (the end of the 18th century), and numerous stone and wooden houses of merchants (the beginning of the 20th century). 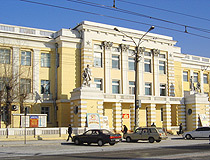 Art Museum (Babushkin Street, 108). 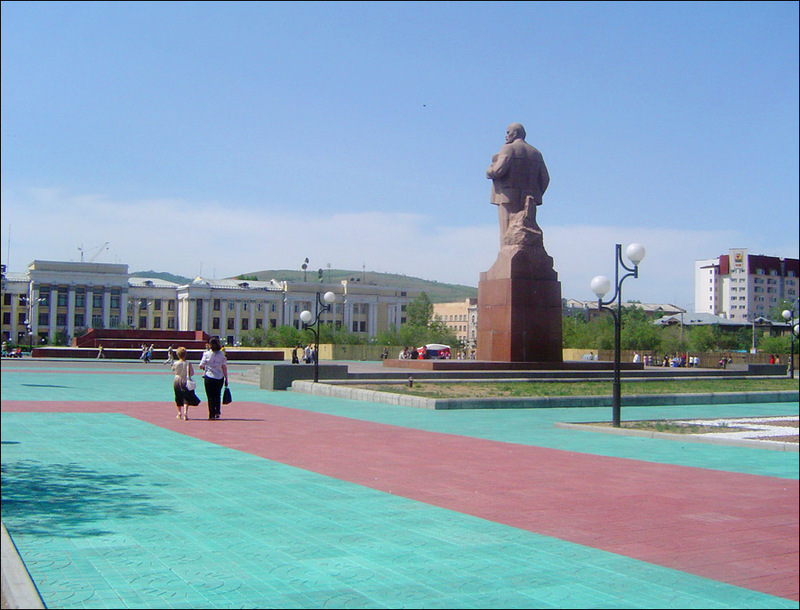 Chita also has a botanical garden and a zoo.